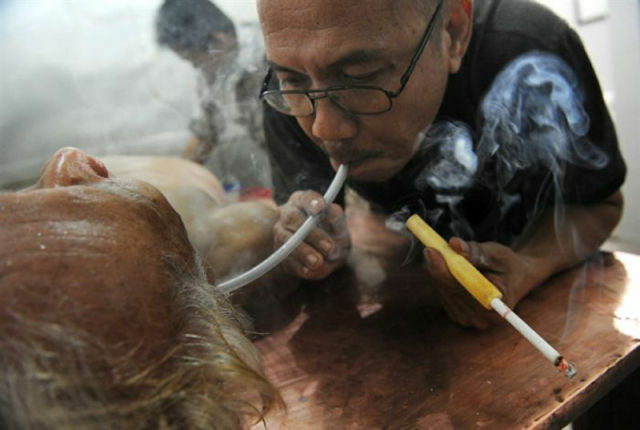 In a clinic in Jakarta, Indonesia, tobacco is considered a cure for cancer. In the past ten years, Dr. Gretha Zahar, who is the founder of the clinic, has treated some 60 thousand people with tobacco smoke. No word on his success rate. Those are 60 thousand morons that deserve to die of cancer. 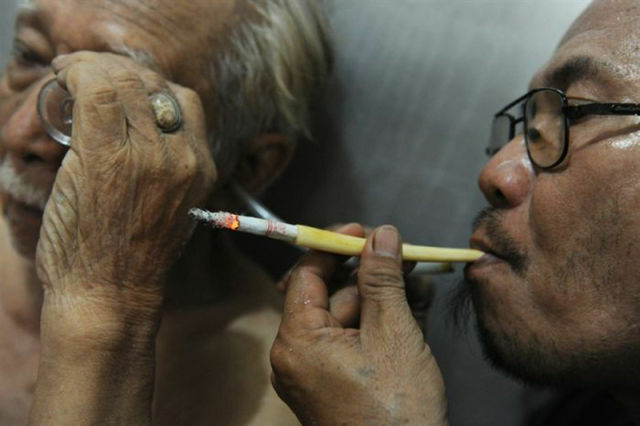 he smoked at least 60.000 cigarettes? Well.. Probably cancer will end his life too? You are all brainwashed. Do your research! Tobacco is an essential plant to humanity. And a good one at that. For real?? Wow! I never realized that tobacco can actually help cure cancer, that was a great study!